Getting a good night’s sleep is just as important to our health as eating right and exercise. But it’s an area a lot of people struggle. To help, I created a collection of three resources to help you, finally, get a good night’s sleep! First up are the sleep essentials you see here. These are a collection of things I personally use, including my favorite Disney Chip Tea Cup to drink herbal tea :), and highly rated sleep essentials recommended in the following video, from experts at Stanford, Harvard Medical School, and Mayo Clinic. 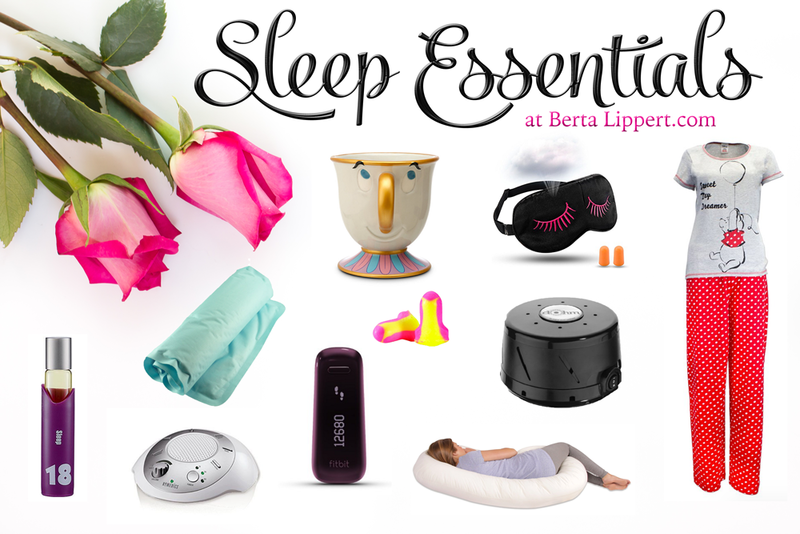 You can find the sleep essentials in my Amazon favorites here. The second resource I wanted to share to help you get a good night’s sleep is this video, 7 Tips For Better Sleep. In the video, as mentioned above, I share information from experts at Stanford, Harvard Medical School, and Mayo Clinic on both the dangers of not getting enough sleep, and tips you can use to sleep better. Here’s the link to the information I referred to in the video from Harvard Medical School. And here’s the link I referred to from Mayo Clinic. The third resource I wanted to share was this video, How To Quiet Your Mind So You Can Sleep. When I asked my community what was the thing they struggled with the most getting a good night’s sleep, the #1 answer was shutting off their mind. A ton of people struggled with quieting their mind so they could sleep. So I researched and created this video with 3 tools you can use to do just that! The final thing I want to share with you is the importance of having a positive sleeping enviroment. If you aren’t your coziest while curled up in bed then you need to make some changes to make sure you feel like you’re sleeping on clouds while in bed. You should have something like the Leesa mattress which supports your back and allows uniform pressure relief. You don’t need to worry about the price either with sites like leesamattresscoupons.com helping to save you money. I hope you find these resources helpful to sleep better, and finally get a good night’s sleep. But one last thing before you go. As I mentioned in my videos, please be patient with yourself as you try to implement the tools and strategies for better sleep. We often have to try things several times to learn what works best. Even if you’ve tried something before, try again. And if you honestly feel like you’ve tried everything, and just can’t sleep, please be sure to seek out a medical professional for help. There’s absolutely no shame in that. There may be an underlying reason that’s keeping you up at night and they can help. Thank you so much for visiting and I’m excited for you to use these resources to sleep better and a get a good night’s sleep!